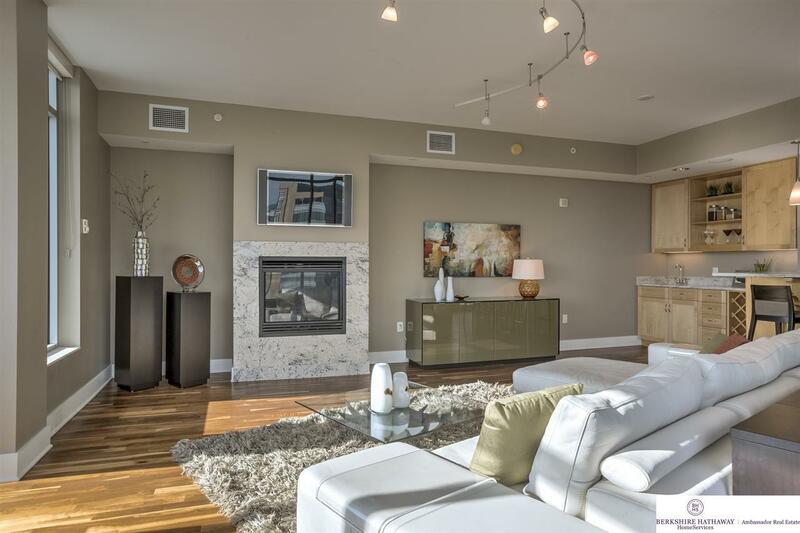 Former Riverfront Place model home loaded with upgraded finishes like American Walnut hardwood floors and bianco ramano granite. 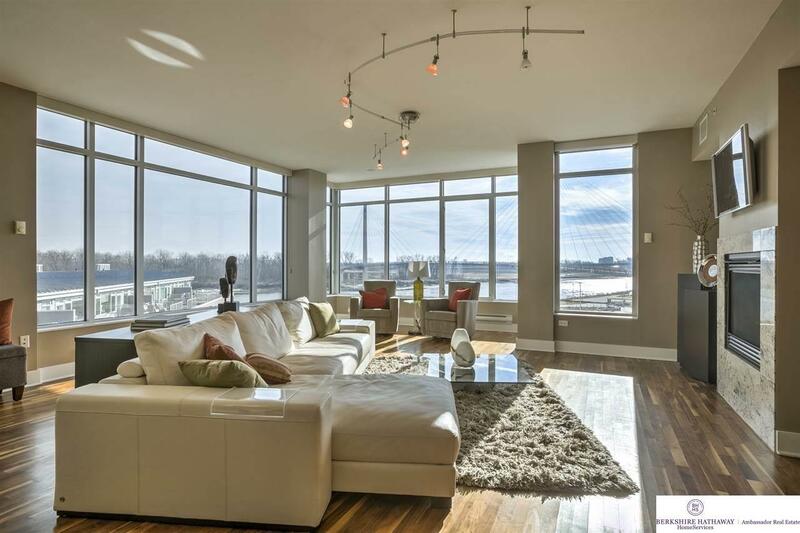 Perfect views from a southeast corner location of the fifth floor of Tower 1 at Riverfront Place. 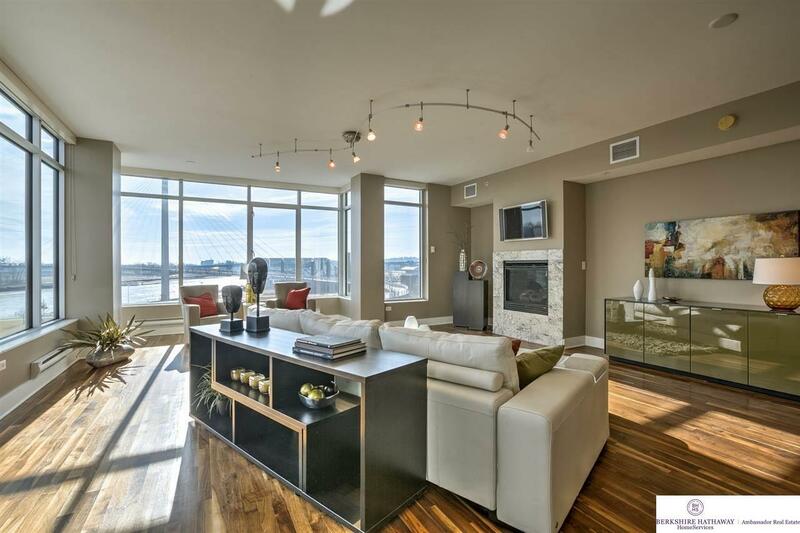 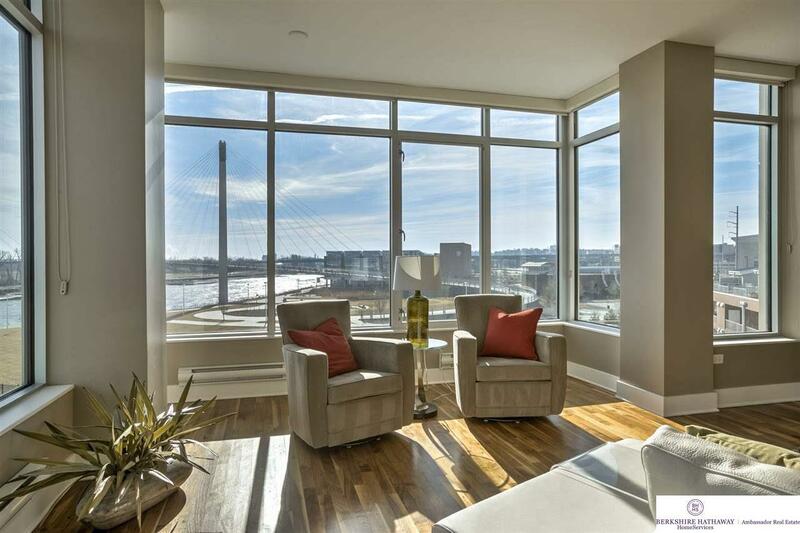 Natural light fills the expansive living space from a continuous window wall overlooking the Bob Kerrey Pedestrian Bridge and Missouri River.